Having spent years living in England, these interiors shots take me right back there. 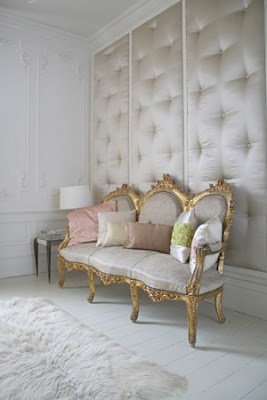 There is something about the light and the palette and the thrown together feel that is so distinctly English. I love the wall detailing. Could I do this with my new mirror? Lock me in this padded room with a stack of magazines and don't come back for hours! they are ALL gorgeous but I want to live in that room w/ the silk padded walls!!!!! 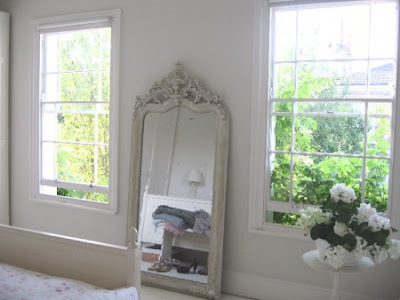 Gorgeous photos-Thanks for the mention of Chinoiserie Chic. Oh I absolutely love this. The bed, mirror, couch...love it all!